First, you're in the right spot. We offer programs for boys and girls. 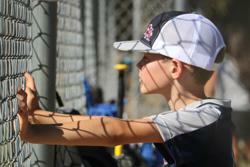 If you have a child that is interested in baseball regardless of age we encourage you to join others in our community. Our site has a tremendous amount of info so please read through the information on the Parents Portal. Can't find what you are looking for? Just email us and we'll be happy to chat with you. Beaverton Aloha Little League is your local co-ed baseball program. However any girls looking to play softball can check out our softball partners South Beaverton Girls Little League.